Kick back and revel in a 'home away from home' atmosphere at The Ryebeck 3*, an Edwardian Country House where guests will be surrounded by classic country styling. This beautiful country house boasts a peaceful setting, set in a leafy clearing above one of Britain's most iconic lakes, the Lake Windemere. Our members will be accommodated in a Grand Room, and will be welcomed with a bottle of prosecco, Bath House toiletries and a delightful dinner on the first night of their stay. 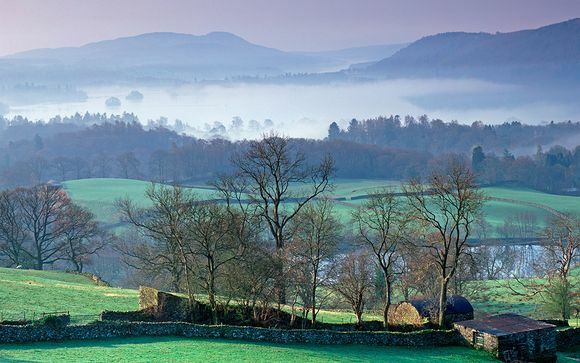 From 16 sparkling lakes and England’s highest mountains, to sheltered valleys, heather moorlands and salty seascapes, Cumbria and the Lake District have inspired and captivated generations of visitors and famous writers and poets such as William Wordsworth and Beatrix Potter. But there’s more to see than just scenery. The area has a rich heritage to discover, a vibrant and contemporary cultural scene, and a growing reputation for fine food and drink. And on top of all this, there is a huge choice of tourist activities in some of the greatest Great Outdoors in the world. A former Edwardian gentlemen's residence set in five acres of secluded beautiful gardens, The Ryebeck Hotel and Restaurant offers all the style and elegance you would expect from an exceptional country house hotel. 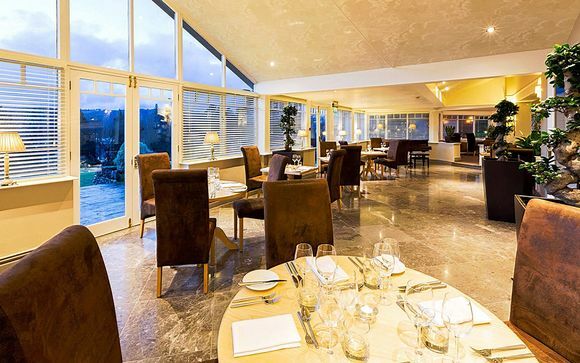 With unrivalled views of Lake Windermere and the surrounding countryside, the Terrace Restaurant - awarded two rosettes by the AA - has a well established reputation for fine cuisine. The skilled kitchen team, lead by Chef Chris Lee, produce daily changing menus to reflect both the season and the best ingredients the region has to offer. Stylish lounges offer views across the terrace and the Lake beyond where morning coffee or afternoon tea can be enjoyed. The cosy bar invites you to sit and relax with an aperitif or indeed a night-cap allowing you to sample one of the many single malts or local bottled real ales. 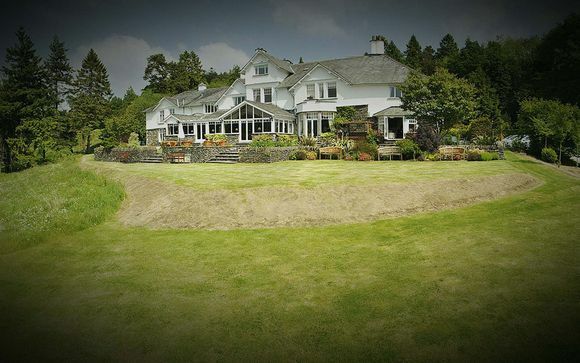 An Edwardian country house in a quiet setting – yet close to Bowness – with glorious lake views and offering a relaxed, family-home feel with a low-key, contemporary-country style. Food is a big draw with well-crafted, Modern British dishes on the menu, as is the chilled-out atmosphere. This offer is based on a stay in a Grand Room. 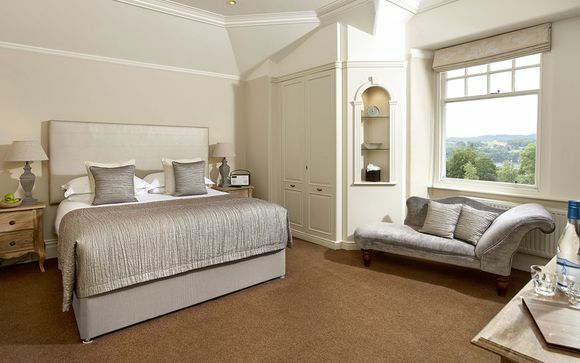 These bedrooms are the largest and most popular, with a large window overlooking Windermere. In each room there is a double bed, double ended tub in the en suite, and a couple of easy chairs to relax into with a cup of Lakeland tea and a homemade biscuit! Maximum age of infant is 5 years old. Dinner in the hotel's award-winning terrace restaurant is an event in itself. Head chef Andrew Beaton's superb food combined with a warm ambiance and spectacular view create a wonderful dining experience. Freshly prepared sandwiches, a selection of exquisite cakes and sweet treats and a large selection of teas and infusions - why not book afternoon tea (at an extra fee) and relax in the lounge - a perfectly civilised way to spend the afternoon. It doesn’t get more British than afternoon tea over-looking Lake Windermere!